Completely updated and redesigned, the REFOCCUS Manual provides detailed information and activities for those working with married couples individually or in general social settings including schools, churches, community focused organizations, as well as specialized programs. Offering REFOCCUS in a group setting is easily planned with the help of the Manual, which includes timelines for offering REFOCCUS over the course of multiple weeks, as well as weekend and overnight formats. Facilitator training is not required for the use of REFOCCUS. However, when used in specialized settings with particular goals and expectations i.e. 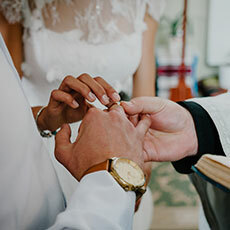 marriage counseling or permanent diaconate, it is recommended that the group leader either become trained and certified as a FOCCUS Facilitator, or have access to a certified FOCCUS Facilitator. This will help to insure that the REFOCCUS Couple Report and related resources can be fully utilized and couple discussion skillfully facilitated in light of any specialized program goals. Includes 1 REFOCCUS Facilitator Manual 1 REFOCCUS Facilitator Folder and 2 REFOCCUS Couple Packets. Available in English only.